I originally scheduled my Egypt trip for January 29th. I wanted to celebrate my 40th birthday on this trip, but I had to cancel due to the revolution. I considered other places (Spain, Turkey, Germany) to visit. However, I decided to wait and reschedule because no other place would satisfy my appetite like Egypt. Once the people’s demands were met and the travel bans were lifted, I booked the 9-day King Tutankhamen trip and prepared for a lifetime trip. Shortly after my arrival into Cairo, I departed for the resort. The Cairo sights amazed me as 24 million inhabitants resume normal lives despite their historical transition less than a month ago. I arrived at the beautiful Oasis Hotel resort in Cairo and enjoyed a nice dinner at their restaurant for my first night. The next day began early when the participants met in the hotel lobby to meet our tour guide, Sharif. After his introduction, we traveled to the Pyramids of Giza as he gave us their history. The sight was incredible and the vendors were ecstatic to see tourists again. They eagerly greeted us with various products. There are 130+ pyramids discovered in Egypt. 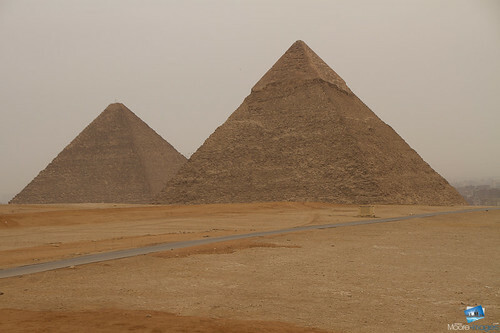 We visited the legendary ones built for the Egyptian Pharoahs, King Khufu and King Khafre. To further enrich the experience, we paid for a half-hour camel ride. The most intimidating part of the ride is when the camel stands. Unlike a horse, the camel must lay down in order to get on it. First they stand up the back legs then their front ones, so you must hold on tightly. 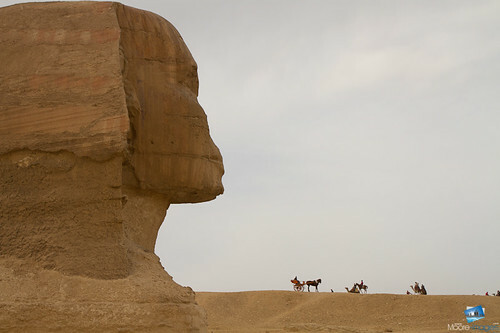 Once the ride concluded, we visited the Sphinx nearby and grabbed some photos. We ended the tour with a visit to a papyrus shop. The presentation and the artwork were so impressive, I left with three items. Finally, we returned to our hotel to prepare for the overnight trip to Aswan. Shortly after our arrival to Aswan, we took a short ride to our cruise ship. The spacious room with a balcony to view the Nile was beautiful. After a brief lunch with our new guide and fellow tourists, we visited the High Dam. 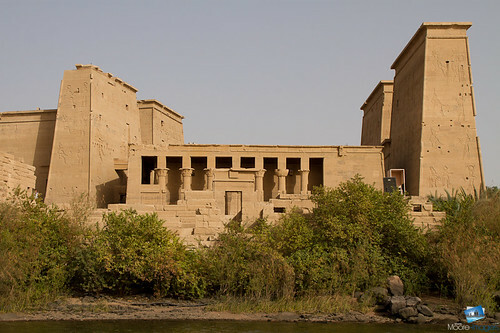 Next, we headed to Philae Temple, which is situated on an island. We toured the temple for an hour and a half, made our way back to Aswan and went shopping in the local market. 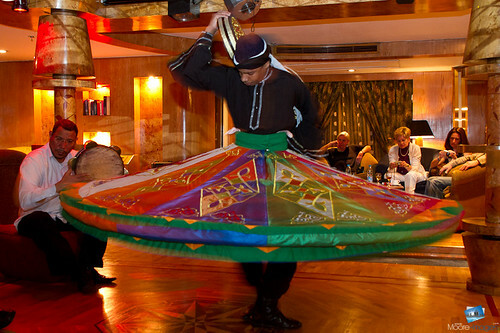 Our first night on the ship, we enjoyed dinner and watched the Nubian musicians and dancers perform on the ship. The next morning, we gathered for a quick breakfast and caught a flight to Abu Simbel. The temples’ story describing how they moved them is amazing. 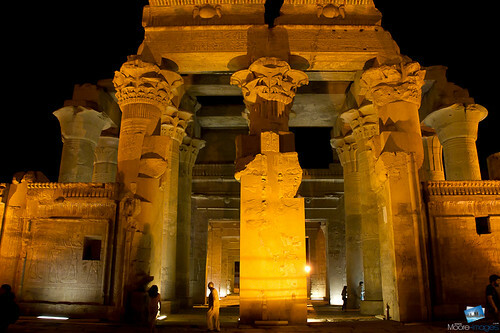 Later that evening, we set sail to the Temple of Kom Ombo. As the cruise ship reached the location, we saw the beautiful temple aglow in the night sky. Only a short walk away, we toured the temple with Mohamed, and grabbed some beautiful night-time photos. We checked out of the cruise ship, reunited with the Felucca group and checked into our Luxor hotel. 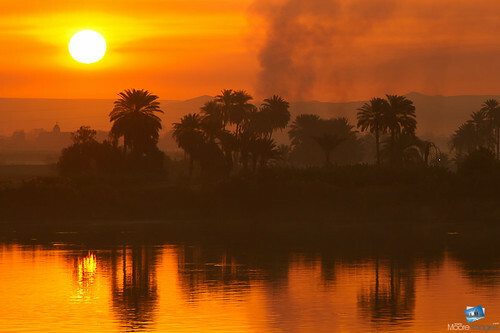 It was a beautiful facility located on the Nile banks. Some of us toured the area capturing photos and enjoying the local dining. Our tour guide, Sharif, made reservations at a local restaurant and we enjoyed delicious Egyptian food. We gathered in the lobby approximately an hour and a half prior to sunrise. 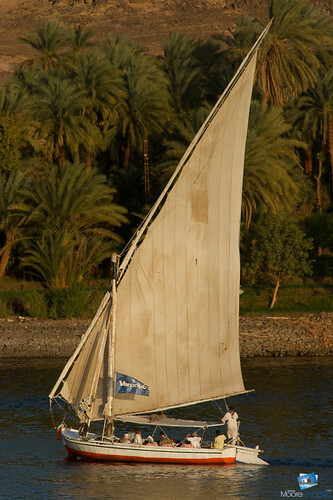 With a boxed lunch, we boarded a small boat and headed across the Nile. 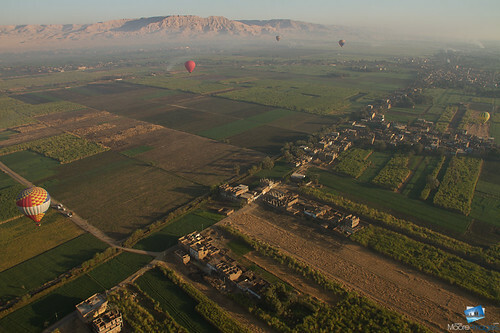 After a short ride in a van, we arrived in an open field where several crew times were inflating the hot air balloons. The guide led us to our balloon basket and within a few minutes, the ground left us. Unlike the dramatic departure of a jet plane generating air to lift it, the engineless balloon drifted into the air with ease. For the next 45 minutes, we ascended to 2,500 feet overlooking the Nile and the surrounding countryside including Queen Hatshepsut’s temple and the Valley of the Kings. 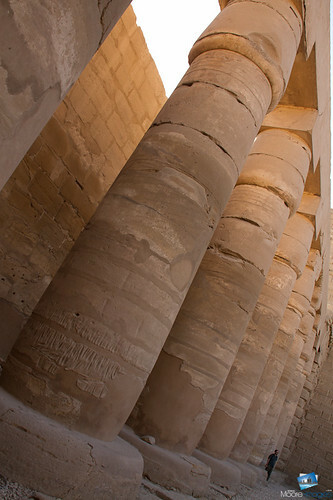 Later that day, we visited the Temple of Karnak. This impressive temple featured elaborate columns and statues more impressive than any other we visited. 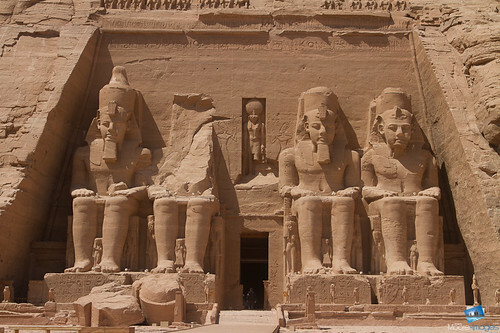 The Egyptians ability to create such temples with precision and without modern-day machinery is amazing. Some group members headed to Dahab, so we grabbed a group photo and those who remained later boarded a train to Cairo. This is the last full day of my trip. We arrived at the Giza train station and returned to the Oasis Hotel. After checking in and taking a hot shower, we opted to visit the Cairo Museum. We left the museum and headed to the Cairo marketplace. 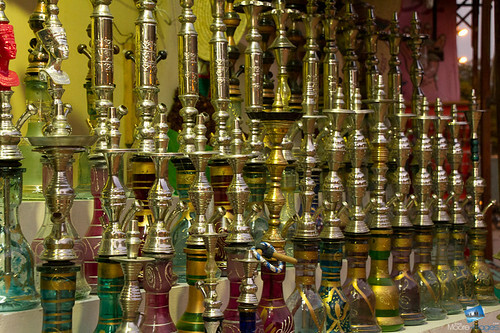 With a population exceeding 24 million, Cairo possesses many shopping locales. We visited an area dedicated to tourists and the local population. We ended the day at a fast food restaurant. After returning to the hotel, our remaining group reminisced over the past week’s events. Later, I packed up for my next day’s flight. The next day I departed for the hotel, arrived safely in London where my friend took me home thus concluding my last, yet memorable, trip while in England. Wow is all I can say. I admit I haven’t gone through all of your pics but opening the Revolutionary Trip in Egypt were amazing. I am loving each and every one (favorite: sunset and reflection off the water with a touch of smoke). I can only imagine visiting these historical landmarks. You left England with BANG. Great pics Roger!!!!!!! Hey Roger, I have been so busy have not had time to enjoy your photos, I must say they are breath taking. I am slowing getting through them. You are AWESOME!! Maybe you can share your photos on the major cable news channel in the USA. This world award winning photography and a story that kids would adore. Make it available to Disney Channel or something Roger! Wow and wow again. I made it to Cairo and man I can say your photos have given me another look at the country I didn’t see while on a TDY.